The RS 210 is a sectional open centre valve. It has a max. operating pressures up to 300 bar and a max. pump flows up to 70 l/min. 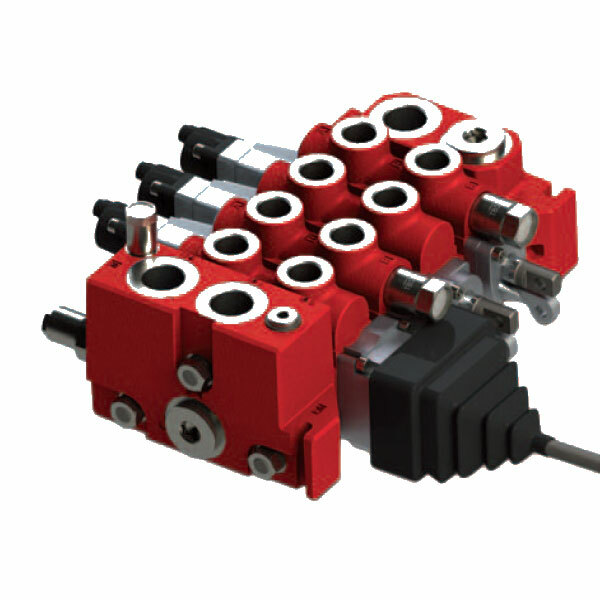 The RS 210 valve is available with 1 to 10 working sections per valve assembly. The valve serves in different systems for parallel as well as tandem circuits. It has an open centre for fixed and variable displacement pumps. The valve can operate manually, with cable or by pneumatic and electro-pneumatic or electro-hydraulic remote control. It offers excellent operating characteristics because of the specially designed spools for different applications. Low and uniform spool forces are the result of the careful balancing of the flow forces. The flow control (Q-function) of the inlet section by-passes the major part of the pump flow to tank when the system is idling. However, it still gives access to full pump flow when there are services’ operations. Besides greatly reducing heat generation this also provides improved operating characteristics. The RS 210 is ideal for applications where you need excellent control characteristics. E.g. cranes, excavators, back-hoe-loaders, skid loaders and tipping gear.